Now into some details… Below is the “official” description of the product for those who don’t know exactly what the Tap is. 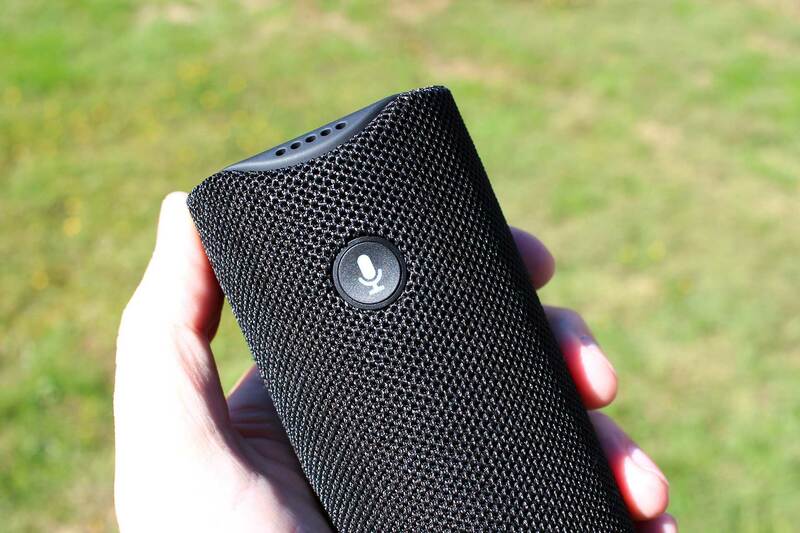 These portable Bluetooth and Wi-Fi enabled speaker gives you rich, full-range sound. Just tap the microphone button and ask for music, hear news, search for information, order a pizza, and more with the Alexa Voice Service. Discover and enjoy music, all in one place. Just tap the microphone button and ask for a song, artist, or genre. Stream directly over Wi-Fi from online music services. Crisp Sound. Powered by Dolby. Dual stereo speakers with Dolby processing for crisp vocals and extended bass response. 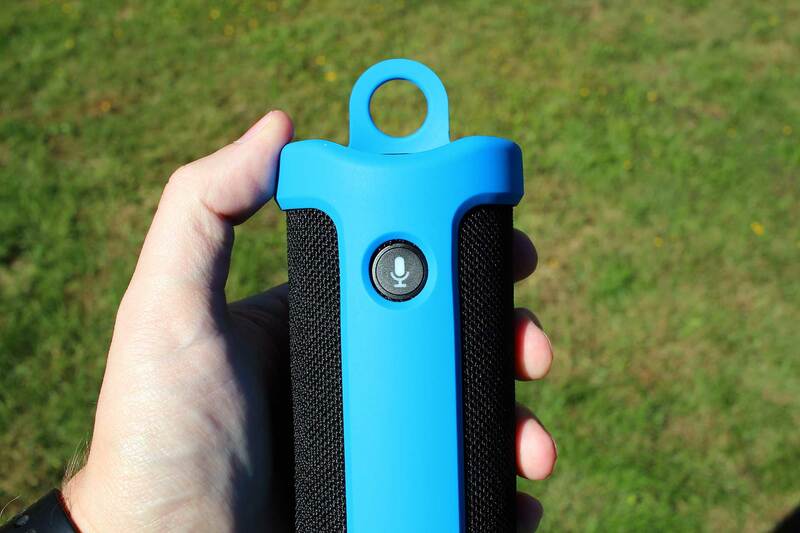 Amazon Tap provides immersive, 360° omni-directional audio. When connected to Wi-Fi you can access Alexa, a cloud-based voice service that is always getting smarter. Just tap the microphone button and ask to hear news, set a timer, get the weather, and more. Whether you are heading to a party or pedaling to the park, Amazon Tap’s compact size makes it easy to move around. And at just over a pound, it is perfectly portable. A single battery charge provides up to 9 hours of continuous playback to keep you entertained – wherever you are. The included Charging Cradle makes recharging effortless, even while listening. The optional Amazon Tap Sling protects against bumps and drops. Sling lets you pop your own color while listening to your personalized playlist. 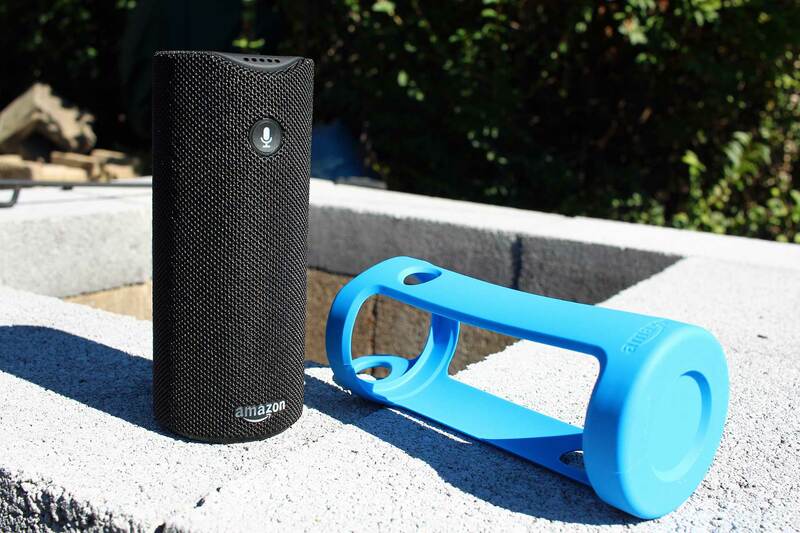 The Amazon Tap works fairly well for it’s intended purpose… a portable speaker. The sound quality is decent, though it’s not as good as the Amazon Echo, and definitely no comparison to a Sonos Play: 1. But, the whole point of the Tap is portability. The other devices aren’t. Amazon claims the Tap lasts up to 9 hours on a single charge, which is nice. I haven’t had a chance to try and see how close to reality that is, but I am fairly certain that should be long enough for most people. As mentioned in the intro, the packaging is as simple to open as possible. Included in the package is a charging cradle, a usb cable and a power adapter. The charging cradle is great. You just set the Tap on it and it charges. It doesn’t have to be positioned a certain way or anything. The initial setup is simple. You just turn the Tap on, connect your phone to the temporary WIFI that is active during setup, and open the Alexa app on your smartphone. There you enter your home WIFI information and the Tap is then connected through your wireless network. While the Tap can be connected via Bluetooth as well, I prefer to use WIFI when at home. This way you don’t need to stay in a certain range of the Tap and streaming music services just play through the Tap itself and aren’t reliant on the phone. Some people are worried about the “always listening” nature of the other Amazon devices such as the Echo and Echo Dot. With the Tap, this is not an issue. The device isn’t always “listening”. In order to talk to the device you have to tap the mic button on the front of the device. This has some ups and downs obviously. One positive is the fact that you don’t have to use the “Alexa” name to ask questions or give the device commands. You just tap the button and say what you want, but one drawback of that is having to be in close proximity to the device in order to use the feature. So, in conclusion, the first week or so that I’ve had the Tap has been a good one. I don’t regret buying the device, which sometimes happens when you buy electronics like this. The portability of the Tap is great. It’s just the right size to not seem too big to take places. The battery seems sufficient for my needs so far. And the sound is average, or sometimes slightly above average, quality. You have to remember, this isn’t a high end device. I recommend buying the Tap when it is on sale like I did. $99 is a good price point for the device. The regular price of $129 seems a bit high to me, but it’s highly likely the Tap will be on sale quite often during this holiday buying season. If you can grab it for under $100 like I did, I think it’s worth considering.